I loved Sugimoto’s time lapse movie screens, where the exact length of a movie was captured by the open lens of the camera, the substance of time and space evidenced by a seemingly empty screen. There was something wonderfully poetic and transformational about that gesture, about the notion of compressing the narrative, reality and action of a movie into a single frame of light: “the ‘annihilation of time and space’ as a particular moment in a dynamic cycle of rupture and recuperation enables a deliberate focus on the process of transition.”1 The process of transition in the flow of space and time. Sugimoto’s art since that ground breaking body of work has been a bit of a let down. Where the movie theatres photographs were transubstantiationalist, the three series presented here – Dioramas (1975-1994), Portraits (1999) and his newest series, Photogenic Drawings (2008-present) play, if that is the right word, with the re/animation of death. The stuffed animals, the wax figures, the redrawing of William Henry Fox Talbot photogenic drawings, the redrawing of a light already been, just seem DEAD to me – a kind of double death or even triple death – the death of the animal/the death of the photograph, the unreality (the undead) of the wax figures and their death in the photograph, the death of the plant, their capture not once but twice by the death of the photograph. We know exactly what Sugimoto is doing, but the images are stilted and lifeless and I am not convinced by them. The diorama images are just OK – almost good undergraduate work but nothing more. My problem with the waxworks images and the pencil of nature is “other images”. 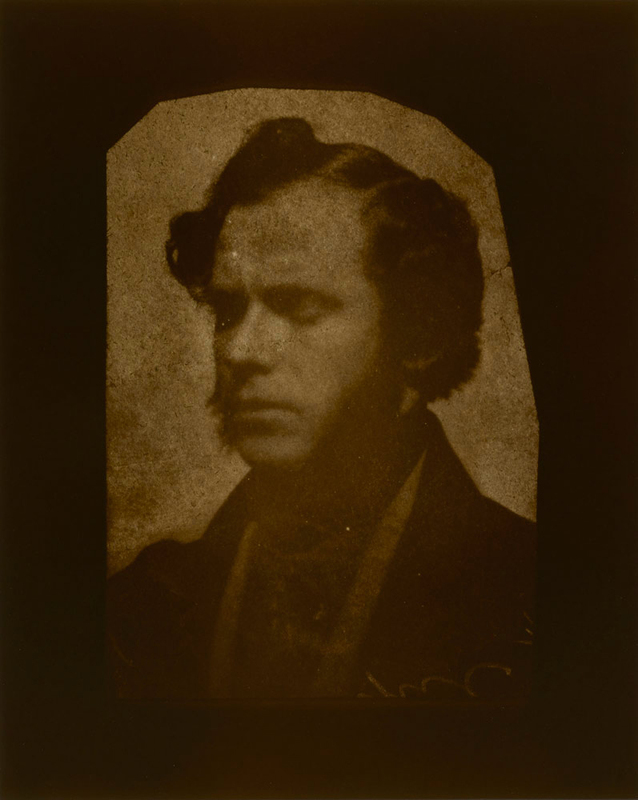 We all know Cindy Sherman and her images of historical figures, and we know the work of William Henry Fox Talbot. 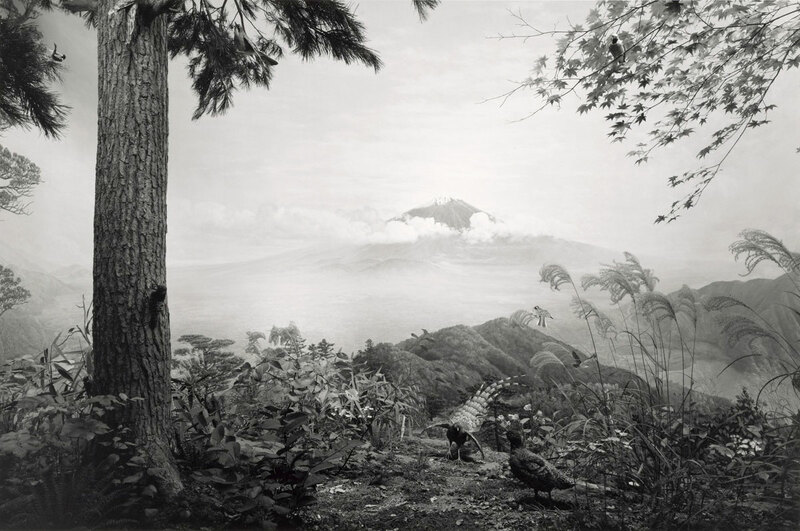 Somehow these earlier images crowd Sugimoto’s work in a way that doesn’t often happen. Winogrand never crowded Friedlander or vice versa – and you can think of many other examples where comparing is actually beneficial… but not here. I’m not saying Sugimoto is derivative but because of these other works, they don’t have much room to move. Indeed, they hardly move at all. They are so frozen in attitude that all the daring transcendence of light, the light! of space time travel, the transition from one state to another, has been lost. 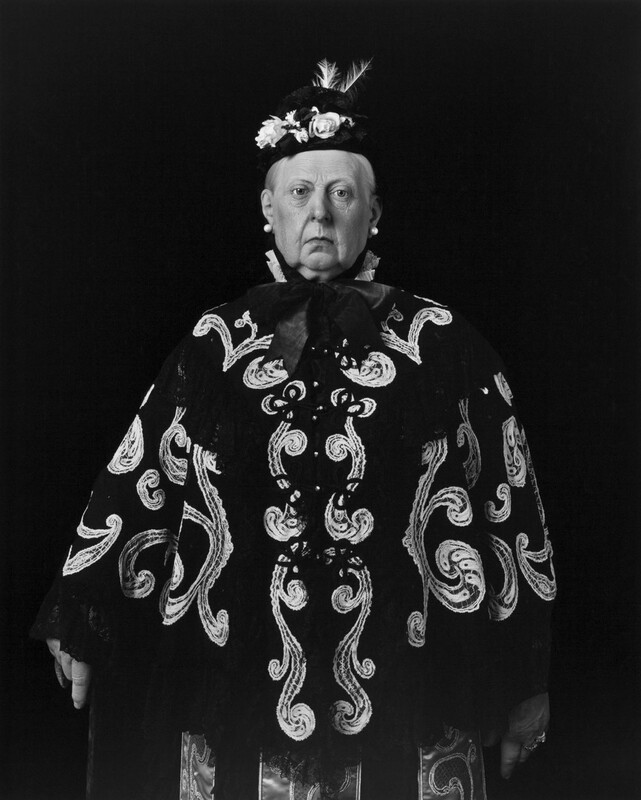 The Flame of Recognition (Edward Weston) – has gone. 1. McQuire, Scott. The Media City. London: Sage Publications, 2008, p. 14. 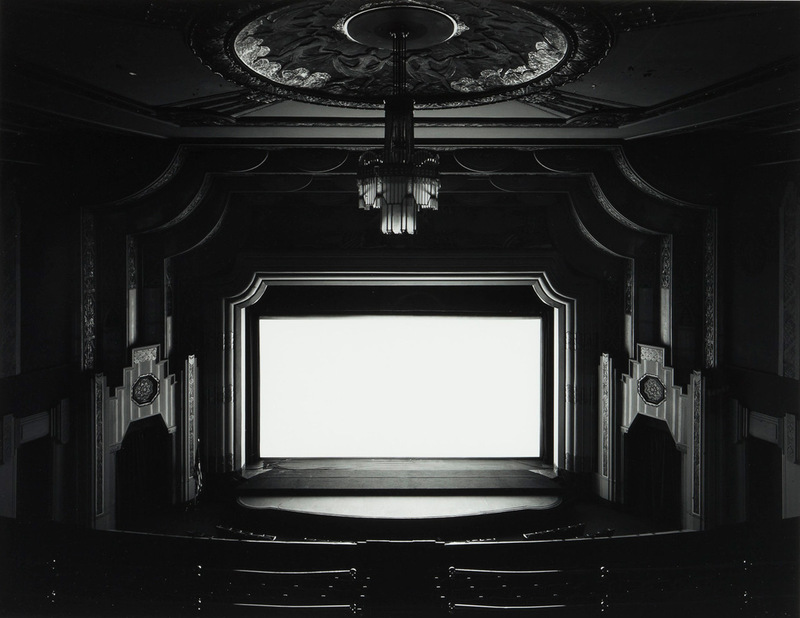 “Since the mid-1970s, Hiroshi Sugimoto (Japanese, born 1948) has used photography to investigate how history pervades the present. 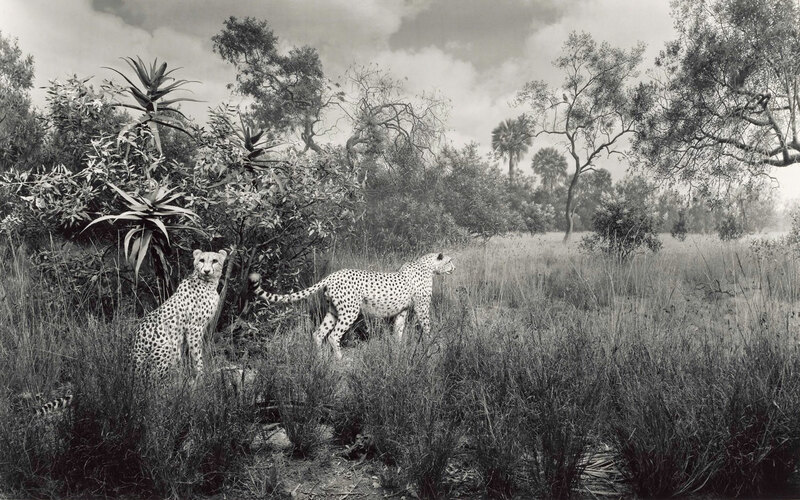 Featuring photographs of habitat dioramas, wax portraits, and early photographic negatives, Hiroshi Sugimoto: Past Tense, on view February 4 – June 8, 2014 at the J. Paul Getty Museum, Getty Center, brings together three separate bodies of work that present objects of historical and cultural significance in the collections of various museums. 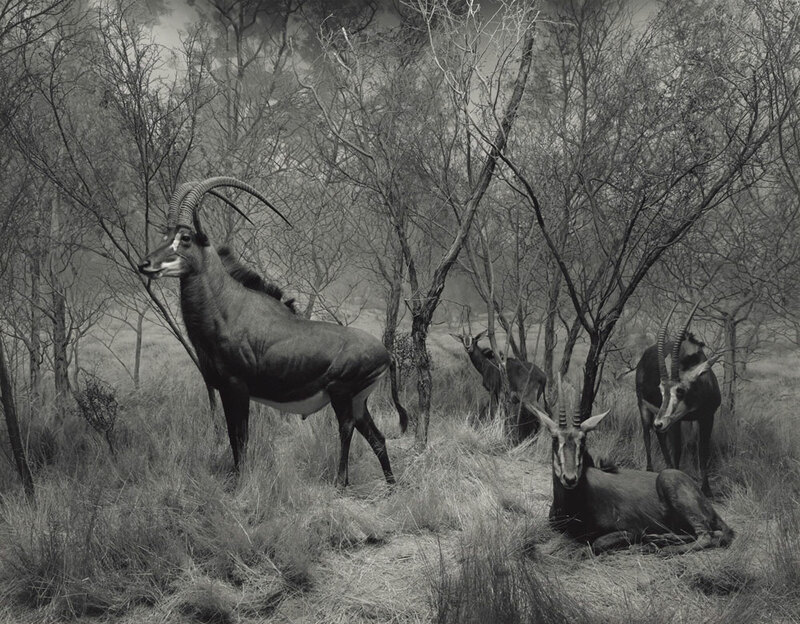 By photographing subjects that reimagine or replicate moments from the distant past and diverse geographical locations, Sugimoto critiques the medium’s presumed capacity to portray history with accuracy. 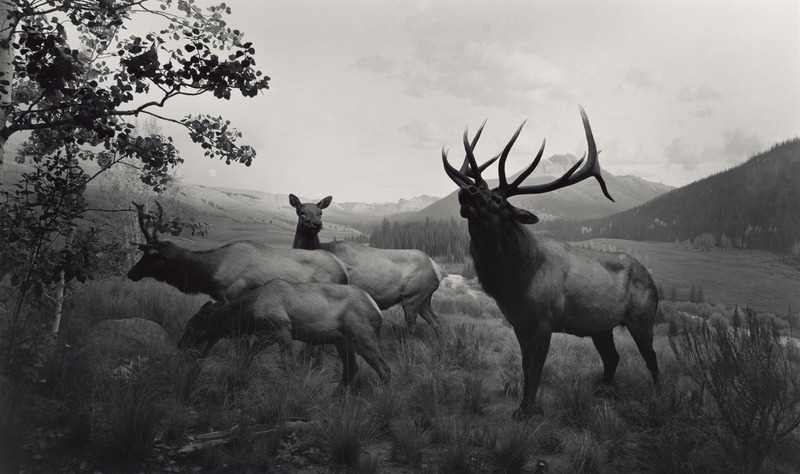 Sugimoto’s meticulously crafted prints are the result of a rigorous working method that includes extensive preparatory research, the use of a large-format view camera, and long exposures. 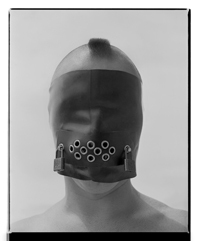 Each of his projects is rooted in a sustained exploration of a singular motif and often carried out over many years. The exhibition will present a selection of prints from three bodies of work, Dioramas (1975-1994), Portraits (1999) and, his newest series, Photogenic Drawings (2008-present). The diorama was first introduced in Paris in 1822 by the stage designer Jacques Louis Mandé Daguerre (French, 1787-1851), who later developed the daguerreotype photographic process. Situated in a darkened room, the first diorama consisted of a large painted scene on a semi-transparent curtain that was illuminated by the opening and closing of skylights and the constant shifting or dimming of lamps to create the impression of movement. 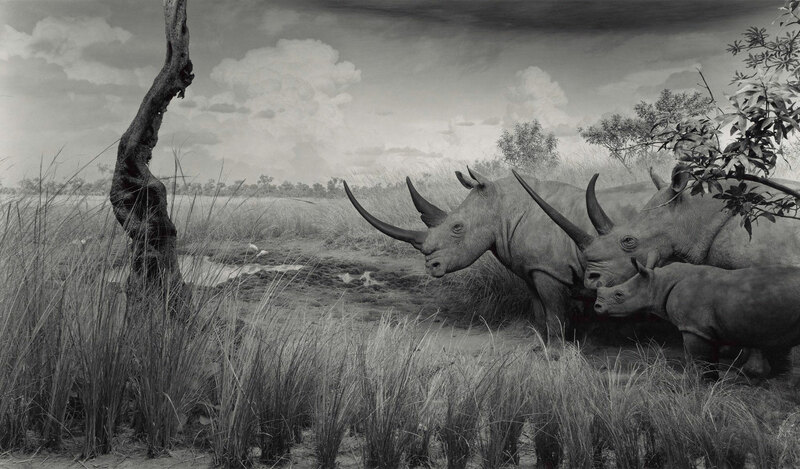 In the early 20th century, habitat dioramas in natural history museums became popular, staging creatures in their faithfully replicated “natural” environments. 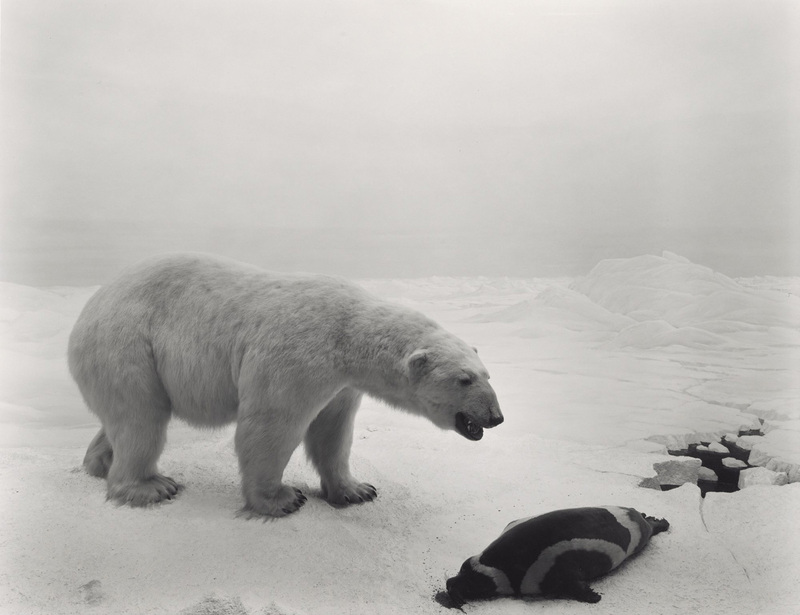 Sugimoto first encountered elaborate animal dioramas at the American Museum of Natural History after moving to New York in 1974, and began to focus his camera on individual scenes shortly thereafter. 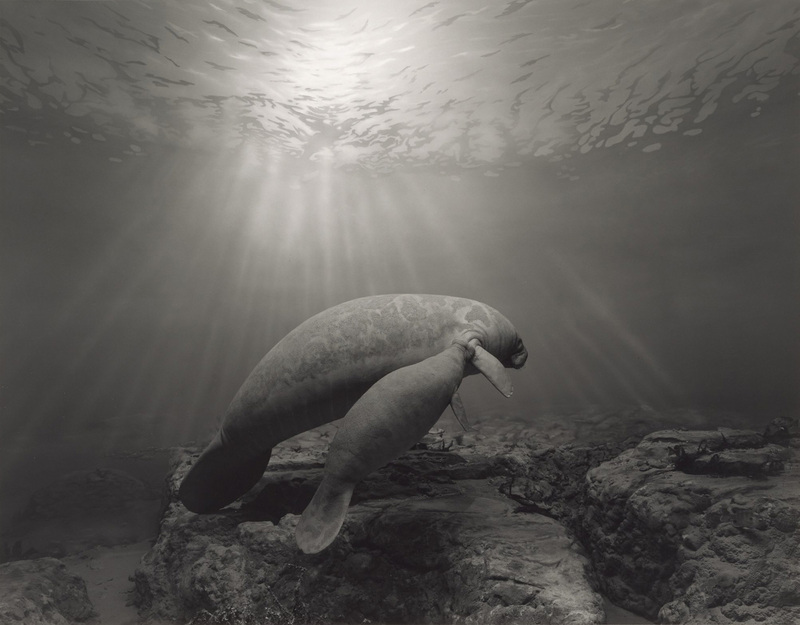 Omitting the educational text surrounding each display, the works heighten the illusion that animals such as manatees, wapiti, and sea lions were photographed in their natural habitats. While each photograph appears to be a candid moment captured by an experienced nature photographer, the subjects are – in actuality – depicted in poses they hold indefinitely. While waxworks have a long history, contemporary wax museums can be traced to the French sculptor Marie Grosholz (French, 1761-1850), who achieved success in the Parisian entertainment market by creating waxworks of popular politicians and cultural figures. After moving to London in 1802, she established a commercial enterprise under the name Madame Tussaud, specializing in the production and display of full-length wax figures modeled after commissioned portraits. Posed against pitch-black backdrops and framed by the camera in a manner suggesting old master portrait-painting traditions, each of Sugimoto’s subjects was captured with a nine-minute exposure that illuminates the finely modeled expressions and the sumptuous costumes. These life-size photographs record likenesses that have been distilled through multiple reproductions of the original sitter. 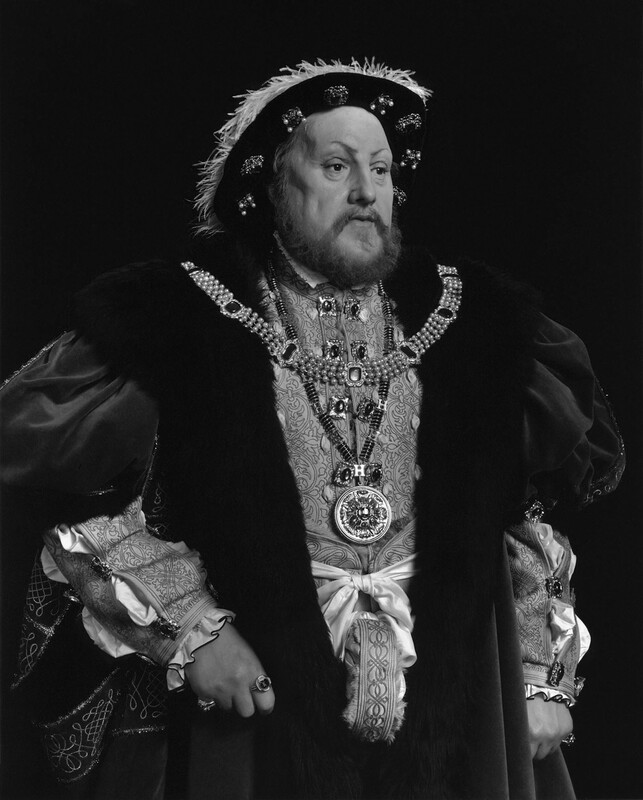 The source material for the wax figures of Henry VIII and his wives is based on 16th-century panel paintings, while the portrait of Queen Victoria’s likeness is taken from a photograph of her from the 1890s, around the time of her Diamond Jubilee celebration. 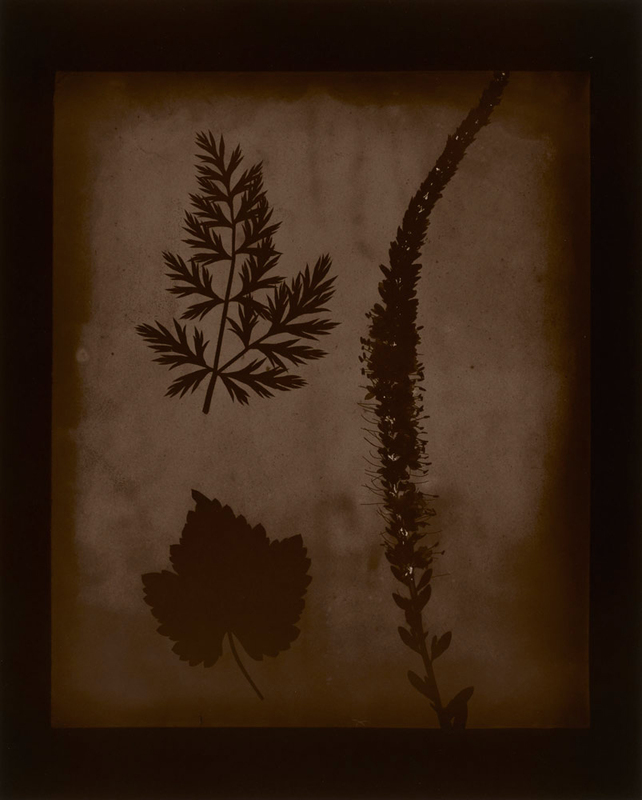 In the early 1830s, William Henry Fox Talbot (English, 1800-1877) began trying to create pictures without the aid of a pencil. After coating small pieces of writing paper with a salt solution and silver nitrate, he successfully captured the outlines of leaves and lace placed on the paper and exposed to sunlight. 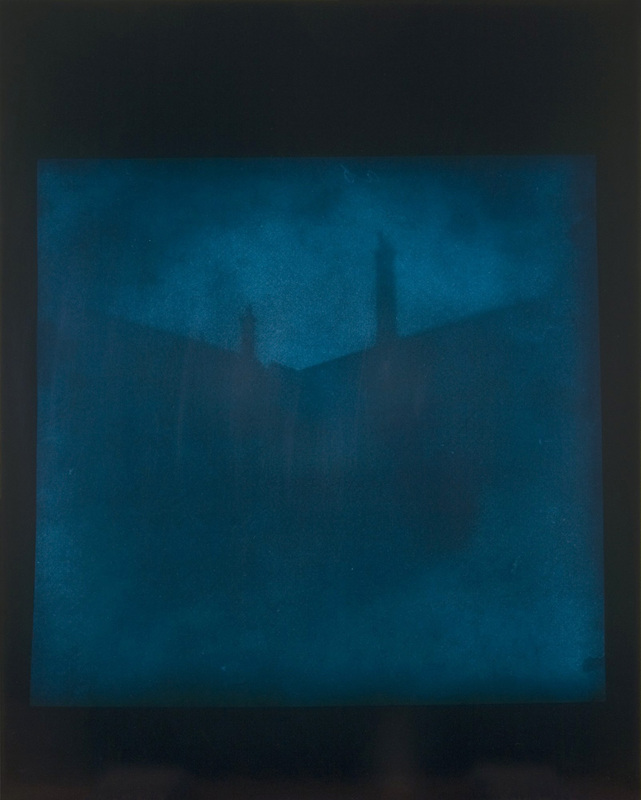 He continued his experiments with a camera obscura, placing a sheet of paper in this precursor to the camera to produce the first negatives, with highlights and shadows reversed. Talbot called the results of these experiments photogenic drawings. 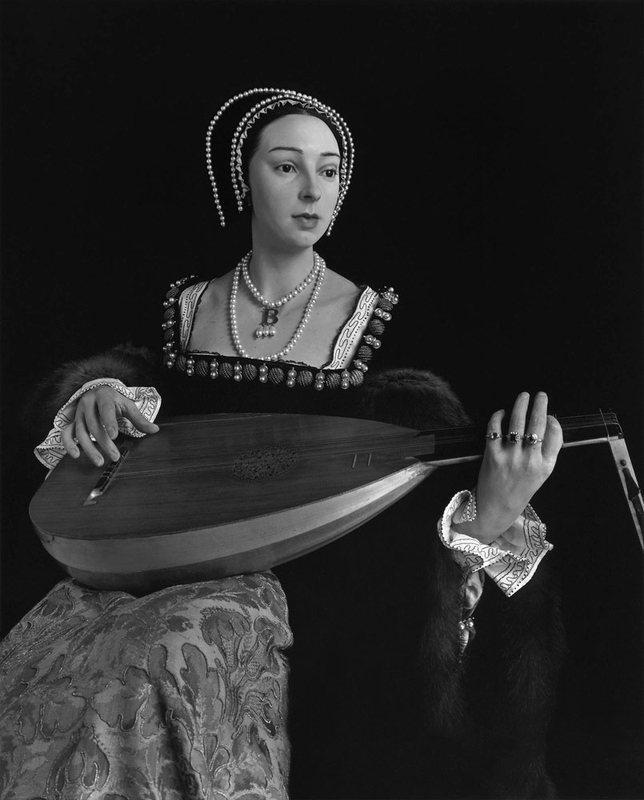 In 2007, Hiroshi Sugimoto visited the J. Paul Getty Museum to study the earliest photographs in the collection. 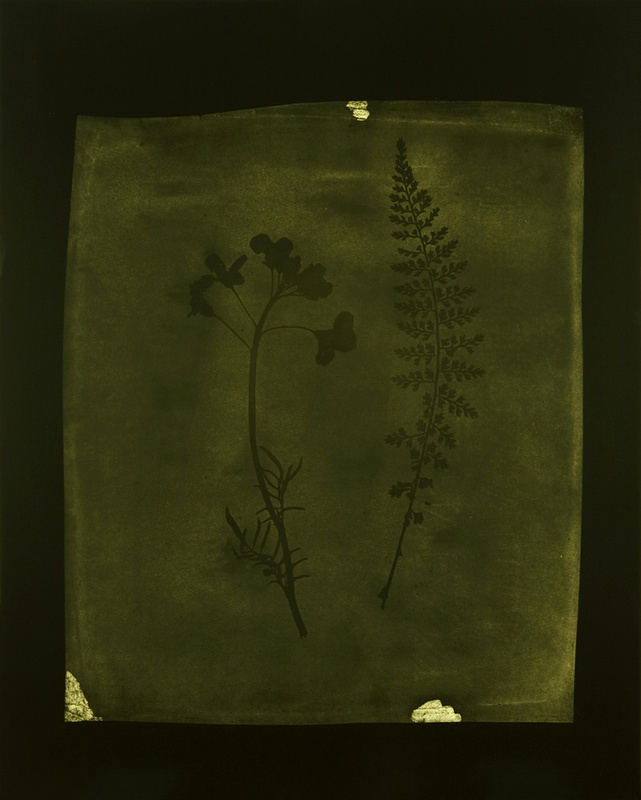 After photographing some of Talbot’s photogenic drawing negatives, he produced large-scale prints and colored them with toning agents during the processing to replicate the often-bright hues of the original sheets. The scale of the enlarged prints reveals the fibers of the original writing paper, which create subtle and delicate patterns embedded in the images. 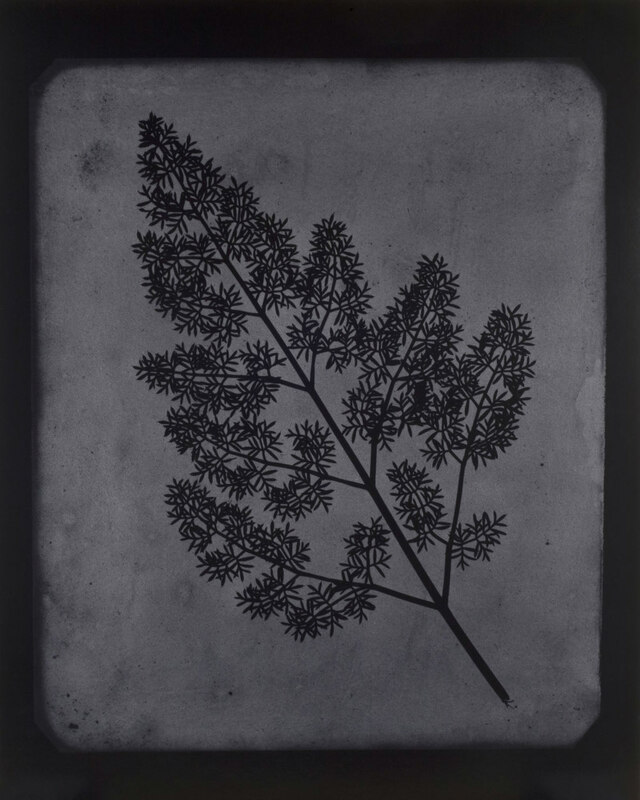 The artist’s gift of eighteen gelatin silver prints from his Photogenic Drawings series significantly enhances the Museum’s holdings of work by Sugimoto. 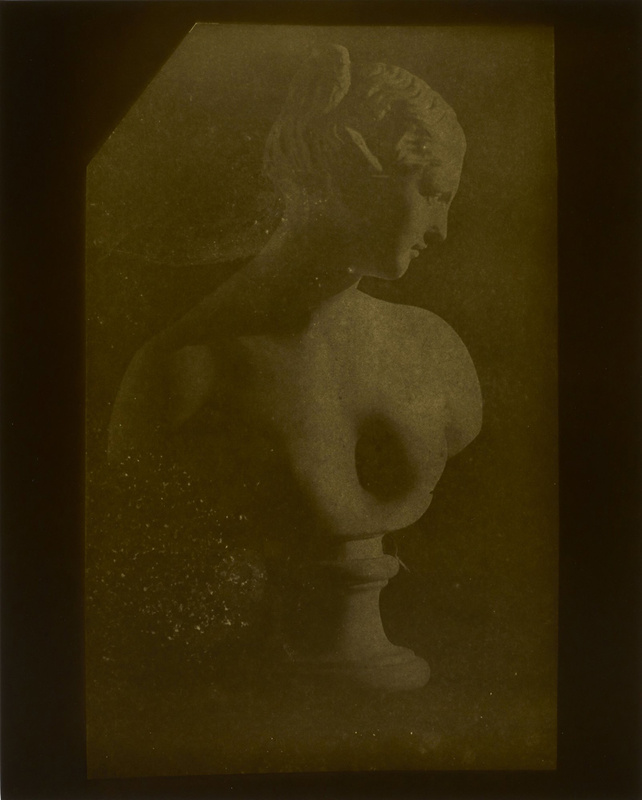 His photographic practice, rooted in a serial approach and primarily concerned with the medium’s relationship to the passage of time, has long been an important source of influence for a younger generation of artists. 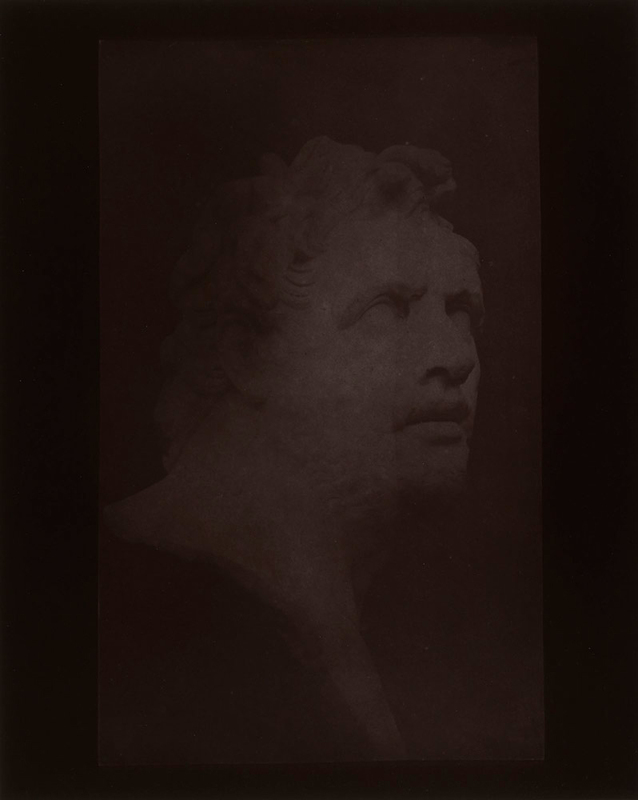 The prints greatly enhance the Getty Museum’s growing collection of contemporary photographs.